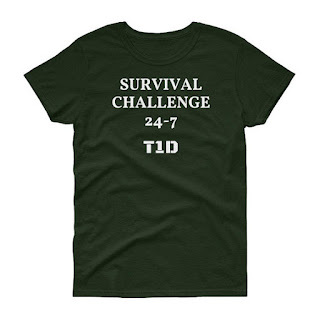 I have been surviving type 1 diabetes for more than 30 years. One of the things I have found to be most helpful is to keep a sense of humor about it. “Laughter is the best medicine” truly applies to us diabetics. We can laugh or cry. I choose to laugh. 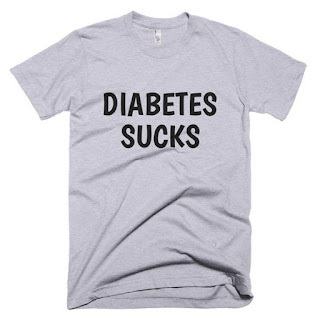 I don’t remember who said it, but I have taken this to heart, “every problem contains the seed of its own solution.” Channeling my diabetes humor into my Etsy shop has been very therapeutic for me and I love bringing a smile to the faces of my diabetes brothers and sisters. The ideas for my designs come from my everyday life and the highs and lows of T1D. Let’s face it…. We all know it. Diabetes is a ruthless foe. We can never call a time out and take a break from it. We don’t need a reality TV show, we live the challenge every day and the show is never over. Every day we wake up alive makes us the winner. Stop by DiabetesAndMore Clothing and Home Decor. Favorite the items you like. 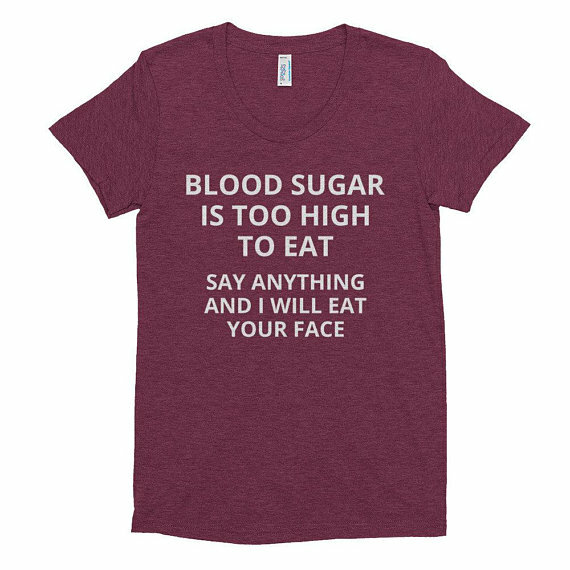 Order one for yourself or a loved one and let the diabetes monster know that you will laugh in its face and never let it see you cry. This beautiful cat print is my latest addition to my Etsy shop. I truly enjoyed painting the original with soft pastels. It was a commissioned portrait. When I do commissions, I generally retain the publication rights, so I can offer my work in the form of less expensive prints. The abstract patterns in the fur just seemed to paint themselves. The lace curtains were a bit of a challenge but they turned out quite well. I can almost feel the summer breeze wafting through the window. I hope you enjoy it as much as I do. I was diagnosed with Juvenile Diabetes when I was 18 and have now survived it for more than 30 years. You do the math...yes...I am that old. Anyway, humor has helped me to deal with the suckiness of this disease. 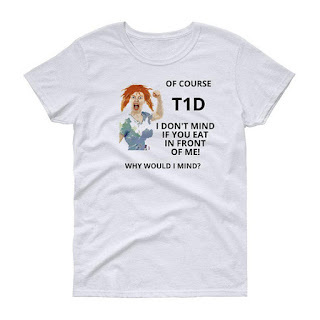 I make funny diabetes T shirts for my Etsy shop. Here is my latest one. Click on the image to see how to order. 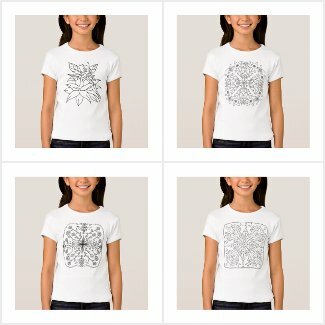 To see more designs, visit MY SHOP and scroll down. If you have ever been interested in purchasing digital currency, take some time to research it. I did and so wish I had bought some Bitcoin 5 years ago. I'd be sitting pretty now as the price has gone up astronomically. No worries though. If you buy now, like I did, the price is still expected to double by the end of the year and only continue to grow for the next 10 years at least. Coinbase is the platform I am using and I must say their security measures are as good as any bank. It's just not backed by the federal government. I wouldn't put my entire savings into it buy it is well worth investing some for the opportunity of high gains. I know we are all looking for ways to make more money. Six months ago, I invested $250 in Bitcoin and Etherium. Today it is worth $1,460. I can't predict what the market will do in the future but it has been good to me. If you use my link to set up your own account, with the first $100 you invest, we will each get $10 free. Do your own research and only invest what you may be comfortable losing. Merry Christmas! I am running a FREE PROMOTION for the next 3 days. Download and read for free. Be sure to leave a review. More reviews means higher sales rank, means more sales, means more food on the table and more gas in the tank. Thank you! When I get a new set of colored pencils, pastels, etc. it drives me bonkers that the colors are usually all jumbled up with no way to know exactly what colors I have, much less how to find the particular color I am looking for. To alleviate this problem, the first thing I do with a new set is to arrange them according to the color wheel. Knowing exactly how many colors I have of blue-green, for instance, saves me a great deal of time when planning a drawing , painting, or a color scheme for an adult coloring book page. Many years ago, I purchased The Liquitex Acrylic Color Map & Mixing Guide. Recently, I looked high and low to try to find one for sale but apparently the company stopped making it. If you happen to find one, grab it with both hands. It has proven to be an invaluable resource over the past 30 plus years of my career as an illustrator. With the map, I can hold each pencil up to the color chips and match it to determine its hue according to the color wheel. 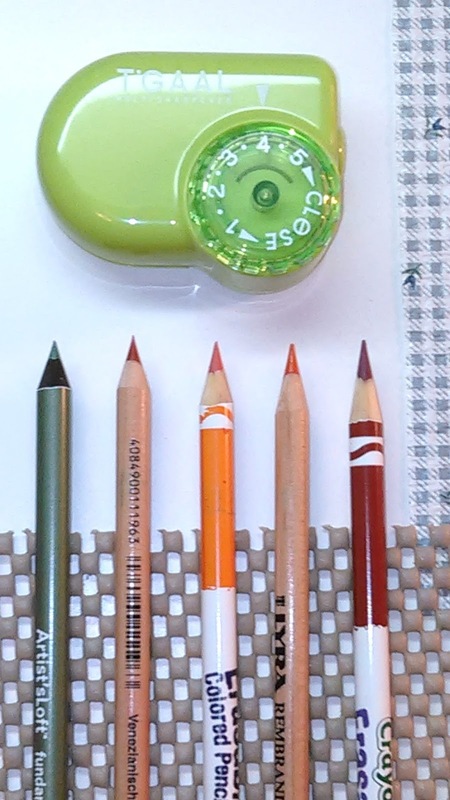 I can then arrange all of the pencils, from left to right, in the following sequence: Red-Violet (RV), Red (R), Red-Orange (RO), Orange (O), Yellow-Orange (YO), Yellow (Y), Yellow-Green (YG), Green (G), Blue-Green (BG), Blue (B), Blue-Violet (BV), and Violet (V). Within each of those twelve sections, I arrange the pencils from light to dark. It does take some time to do this but it is time well spent. This arrangement makes choosing color schemes and planning layering of colors a breeze. Lucky for you, I am sharing this arrangement for the 132 color set of Prismacolor Pencils with you, free of charge. I hope it will prove as useful to you as it is to me. The downloadable and printable pdf has a close up picture of each of the six trays and includes a list of each pencil's name, number, and color group to assist you in arranging all of the pencils, from left to right, in the following sequence: Red-Violet (RV), Red (R), Red-Orange (RO), Orange (O), Yellow-Orange (YO), Yellow (Y), Yellow-Green (YG), Green (G), Blue-Green (BG), Blue (B), Blue-Violet (BV), Violet (V), and Greys. 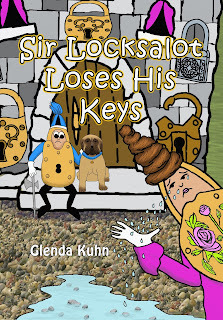 You will be taken to my Dropbox for a safe and secure download of the free PDF. Finished up the eBook cover for a new client. 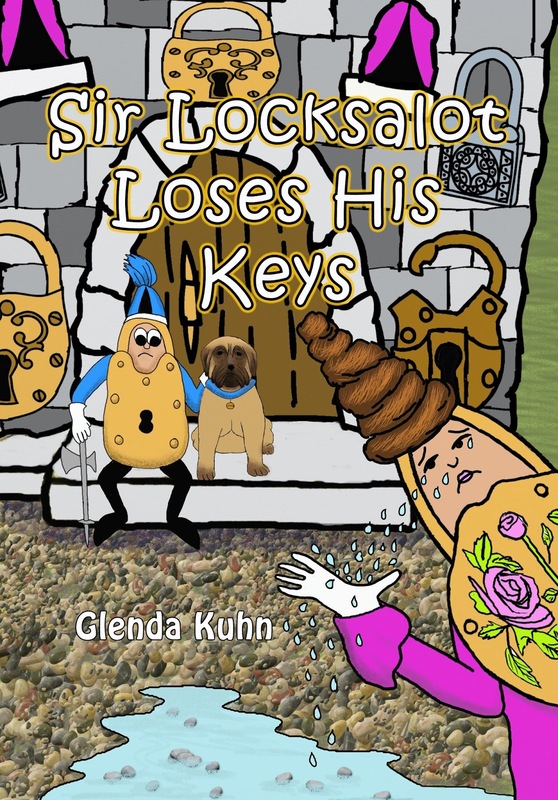 It is the first of a 3 book series. He's very happy with the cover and I look forward to working on the next one. Sounds like a very interesting story and I hope I get time to read them all. Will post a link to it when it is available for purchase. My boyfriend is custom building a toy hauler. He asked me to paint four of the cabinet doors he is putting in it. 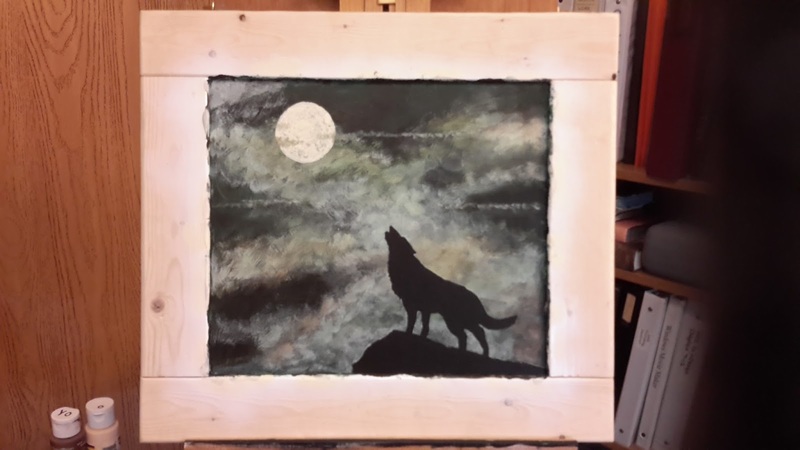 I discovered that painting on wood is much different than painting on canvas. The paint acts completely different. It was not better or worse, only different. 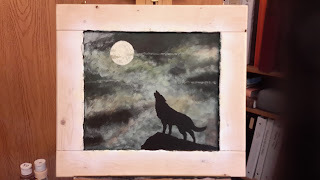 The slicker surface meant that it would take more than one coat to get good coverage and I couldn't build up impasto without risking that the paint would be bumped off. In the end, I am quite pleased with the way they turned out. He will finish the outside frame of the door with a brown paper bag/leather look treatment. Here is one of the doors. 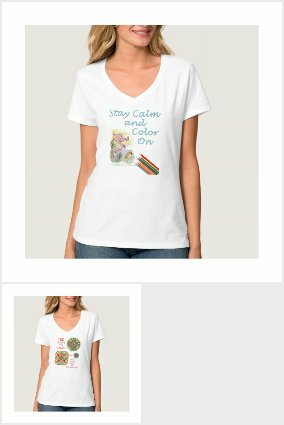 Never to let an opportunity to market my work go to waste, I also used the completed images on products in my Zazzle shop. 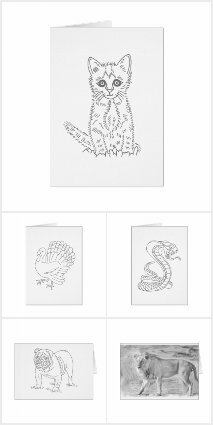 Added several new designs to my Ready to Color Greeting Cards section today. Have a look and let me know what you think. Just this morning, I did a Google search of one of the titles of my books. I was flabergasted to find it on a site that was offering it as a free download. After further research, I realized that most, if not all, of the books on said site have been stolen from the authors. This site sells memberships and makes thousands of dollars from the theft of copyrighted works. I will not add to their advertising by posting a link to it but I do suggest that, if you are an author, you should do a Google search of each of your titles and follow all the links that come up. Google does have a form you can submit to express your copyright infringement concerns and ask that the listing be removed. I support myself and my disabled son with my artwork and books so it infuriates me to know that some anonymous entity is stealing my work and taking money that should go to put food on the table for us. It is always such a great feeling when the book you have been working on for 2 months is finally published. 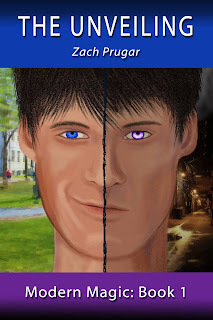 I did the illustrations, cover, Createspace print, and Kindle eBook layout and conversion on this. Open to accepting my next job so contact me if my style and abilities interest you. Over the years, I have used every kind of eraser out there; pink pearl, kneaded, gum, etc. These are, hands down, my favorites. I keep them all over my studio and all over the house. I sometimes cut the tip end at an angle, with an x-acto knife or single edge razor blade, to give a nice wedge shape to it. I just noticed that I received the following 5 star review on my book... "versatile...a lot of nature that is well done for coloring. she has so many different things in this book. Landscape, birds, cats, dogs, beach, my goodness, I've never liked a book better." I'm doing the happy dance now. is now available for pre-order and will be out in August. I love all of her books and especially enjoy watching her tutorials on youtube. She is adorable. I keep expecting to see pixy dust swirling around her. 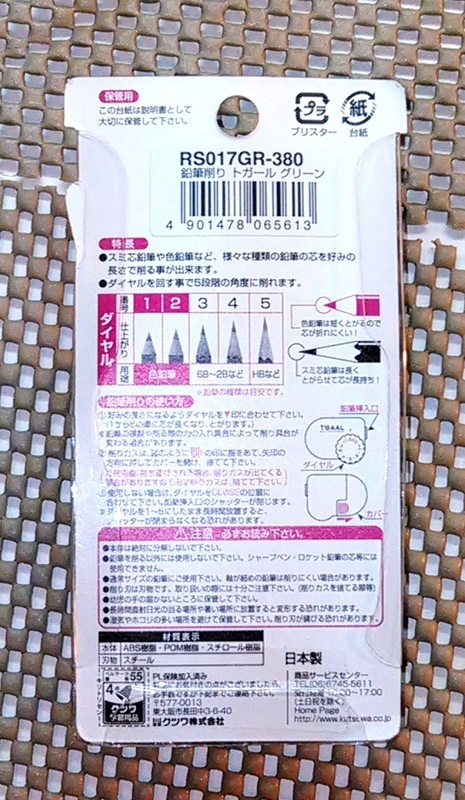 Had heard many good things about this sharpener so I ordered and tested it for myself. 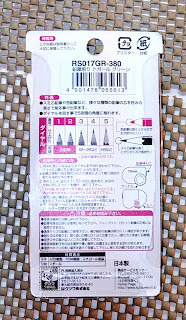 Shipped from Japan, the instructions are in Japanese but the handy picture showed me how to adjust the pencil length. Tested on Crayola, Artist's Loft, and Lyra Polycolors and it did great. If stranded on an island, this is the sharpener I would want with me. Comes in 3 colors. The back slides off to remove shavings. I was surprised that the lead did not break, even with the longest taper. 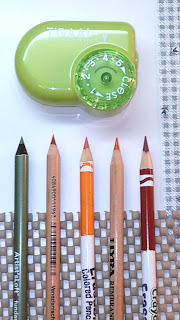 I've posted a link to this sharpener under my photos if you would like more information. Happy Coloring! When I first saw "A Colorist's Journal", I thought well that's a silly idea. Then, I read the description and now I see the value in it. Who doesn't need to be better organized? Have you ever bought a book only to realize you already had it? Here is a part of the description from it's Amazon listing. "Just a few of the perks of A Colorist’s Journal for the Artist in you: •List your favorite Artist •Keep track of books you already own •Keep a wish list of books you wish to own •Make note of upcoming Coloring events •Organize a List of Coloring Groups you have joined •Keep up with your current supplies •Make note of the best coloring supply deals, and where you have found them in the past! •List your favorite websites and blogs •10 full pages of color charts to create your own color swatches from your favorite coloring supplies •A Color Wheel for you to learn a bit about color theory •Pages for your own notes •Of course all of your tried and true tips and tricks! You will never have to hunt for anything again, it will all be at your fingertips!" The more I think about it, the more I think it's a great idea. I would like to have a "Graphic Artist's Journal". What do you all think? Have you ever wished you had a book with a wide variety of artists and styles included? Check this out. 119 single sided pages by many of the top artists working in a wide variety of styles. You can see inside the pages, and artist's names, in the video review in the comments section. So, my new set of Marco Raffine colored pencils came in the mail yesterday. Oh my! Love, love, love them. Going from Crayola brand to Raffines is like going from a peddle car to a Lamborghini. They spread like butter and don't hurt my hands at all. The colors are rich and vibrant. The cardboard box they come in is pretty much useless since you can't really see the colors or get them in and out easy so I ordered this case for them. I want to be able to take them with me to the park or the lake or wherever in an easy to carry and easy to use case. Other wraps have the pencils in a single row and would take an entire picnic table to spread them out. This is a double row and I am so looking forward to taking them on the go with me. You can also get the Raffines already in a wrap. So wish I had know this when I ordered them. Alan Rickman was my all time favorite villain, even more than Bruce Dern who was the only man to kill John Wayne. Rickman always made me want to hate him and hug him at the same time. 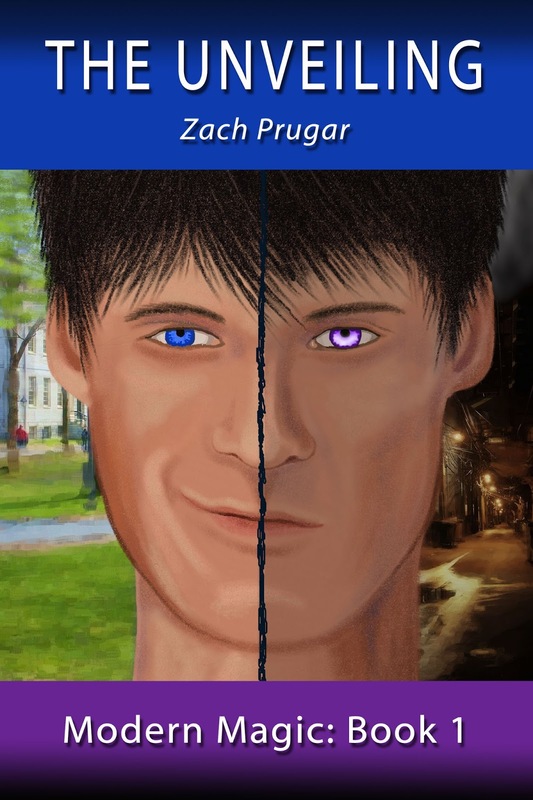 Don't know if his character will be in this new book but I hope so. RIP dear sir.